for events, festivals and what to do in the NC mountains. Get Military discounts up to 30% on cabins, getaways, Inns and vacations in the the North Carolina Mountains. Find Military Discounts for camping, attractions and ski tickets, whitewater rafting and outdoor adventures. Military Discounts on dining and shopping during your NC mountain Vacation are also included. Attention Government and Military Travelers: Get government rates at Choice Hotels. Book now! In addition Military Discounts specials exclusively for active duty and/or Veterans, we offer Specials and Vacation packages on our Specials and Discounts Page. Get details and restrictions about all discounts from the individual websites or property owners..
20% Discount for active duty and Veterans with ID. Mountain views, hot tubs, fireplaces, WIFI, dishwasher, washer/dryer, central heat/ac, satellite TV, phone, VCR & movies, porch with seating, full kitchens, linens. Military Discount of 20% for active duty. Minutes to downtown Asheville - 2 bedrooms, 2 baths, sleeps 4. Deck, hot tub, fireplace, WIFI. Trails, trout pond, exercise room, rec porch, playground. $190-$240 nt, $1145- $1275 wk. 20% discount for active duty Military. 2 bedrooms, 3 baths, sleeps up to 5. Large master suite with private deck and hot tub. Covered deck overlooking trout pond. WIFI. Located in Asheville NC. $195-$250 nt, $1165-$1280 wk. 10% Military Discount and pets free. Contemporary log home with mountain view, fireplace, hot tub, WIFI. Fully loaded kitchen, all linens, local phone. PET FRIENDLY with 1/2 acre fenced pet area & llamas to pet! Asheville. Military Discount of $25 off each night's stay. Newly built cabins on 40 acres bordered by trout stream. Easy access, motorcycle friendly only minutes to whitewater rafting, sleeps 6. Nantahala area. FREE WIFI. $675 week. $100 off weekly rental for active duty military and their family. 3 bd, 2 bath log cabin in the beautiful Smoky Mountains. PET FRIENDLY, fireplace, WIFI, large deck, hammock. Community pond, picnic area, volleyball. 10% military discount. Beautiful mountain views, full kitchens, jacuzzi/hot tubs, TV& DVD, gas/charcoal grills, ALL linens. PET FRIENDLY. BRING YOUR HORSE or rent one! Secluded/private settings only 20 min to Boone. Asheville Seasons Bed and Breakfast 5% -15% discount off the posted rate - some restrictions apply . Asheville. Brookside Mountain Mist	15% discount to active duty Military, Reservist, Guard Members. Waynesville NC. Carolina Mountain Vacations 10% discount for active duty Military personnel. Bryson City area. Highland Hills Motel and Cabins Ask your reservation agent about discounts for military. Boone NC area. The Inn on Mill Creek 10% discount on stays of two or more nights to active duty members of the military and war veterans. Black Mountain NC. Lovill House Inn $10 discount per night for all active duty military on all non-package or special event weekends and weekdays. Boone NC. Spring House Farm Ask about our discount and welcome gift for active military personnel. Marion NC area. Swiss Mountain Village 25% discount on all rates for active duty military. Blowing Rock NC. Whispering Pines Deluxe Rentals 10% discount to all active duty personnel. Bryson City NC. Wildberry Lodge Active duty Military 15% discount for lodging, cannot be combined with other discounts. Asheville. 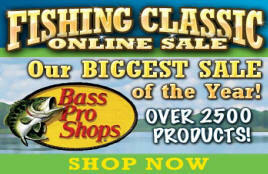 AB's Fly Fishing Guide Service FREE, yes free, Half Day of fly fishing: Operation Grateful Guides. In a show of appreciation for the men and women who have recently served and sacrificed in Iraq and Afghanistan, AB's Fly Fishing Guide Service is offering a free day of fly fishing on the Tuckasegee River. This offer includes all equipment and lunch. Asheville Tourists Baseball Military discounts are available at the box office. Cataloochee Ski Area Military Appreciation Days at Cataloochee Ski Area in Maggie Valley NC. All active and retired military personnel and their families will receive very special rates on lift, lessons, rentals and also tubing with valid i.d. The annual event is usually held in late January. Beech Mountain Ski Resort Discounted lift tickets to US military personnel & family members, redeemed at ticket window. Cataloochee Ski Area Military rate same as junior rate anytime for lift tickets. Anna's Linens 10% military discount off your entire purchase at Annaslinens.com or in any Anna's Linens store location. To apply the discount on-line enter the military10 code upon checkout and include your military rank information in the comment section. To receive the discount in-store please present a valid military ID. 85 Tunnel Road (Next to Big Lots) Asheville NC. Lowe’s Companies All day, every day 10% discount on in-store purchases to all military personnel who are active, reserve, retired or disabled veterans and their family members, with a valid, government-issued military ID card. The B&Bs for VETS Campaign is a program in which B&Bs across the nation say "thank you" to our military on Veteran's Day. 2015 is the 7th annual event. Hundreds of American B&Bs offer free rooms.